Home Biafra Featured Nigeria ISLAMIZATION OF BIAFRALAND. Religion can be defined as a specific fundamental set of beliefs and practices generally agreed upon by a people. Biafrans are adherents of the Christian religion. It should be noted that Nigeria is a circular state that has freedom of worship enshrined in her constitution. For obvious reasons religion stands out very distinctly among volatile issues in the world. It is a subject that asks the ultimate questions about human destiny and speculations about eternity. Any act that breaches it is regarded as an infringement on one's right to freedom of worship. Recently, the Nigerian government removed Christian religious knowledge as a stand-alone subject and introduced religion and national values as a subject in her educational curriculum. This subject has CRK, civic studies and national value, which used to be three stand-alone subjects lumped into one subject while Islamic studies maintained its stand-alone status. As if this is not bad enough, the text book approved for this subject states that Jesus Christ is not God and that Allah is the only God, it also stated that students have the right to disobey their parents if they (parents) try to stop them from worshipping Allah among other defamatory statements about the Christian faith. This act is denigrating Christianity and promoting Islam. Making Christian Religious knowledge study a part of civic education and then deny the doctrines of Christianity is the true meaning of Islamization and in this case in Biafraland. The Nigerian government even went ahead to say that students must study Islamic religious knowledge thereby forcing their belief on Christians. Again the contents of the government sponsored Christian religious study is heretical in nature, which deny the fact that Jesus Christ is God and said that his death and resurrection is a farce. Sometime in the past, the grazing bill was introduced in the House Of Reps, which would have mandated states to release parcels of their ancestral land to the Fulani herdsmen for grazing, instead of ranching, which is the international best practice. All these are targeted at Islamizing Biafrans so as to accomplish the words of their forefather Usman Danfodio of dipping the Koran into the Atlantic Ocean. These sudden changes in education curriculum are not mistakes but are intentionally designed to force Islamic religion on Christians in Biafraland. This is a gradual form of Jihad, which is the Islamic religious war; and the introduction of sharia to Biafrans. 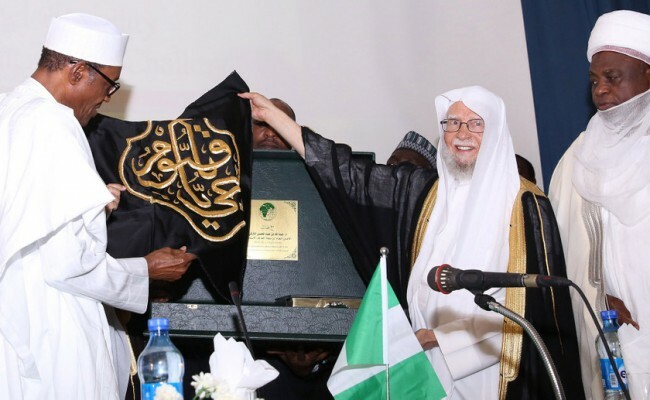 Knowing the sensitive nature of religion, no government interferes with it, but president Muhammadu Buhari, a known Islamic fundamentalist is spearheading this move. 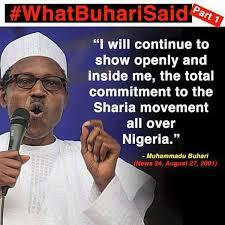 There are many quotes attributed to him where he openly promised to continue the propagation of sharia. The incessant menace of the Fulani herdsmen in different parts of Biafraland should be a sort of concern to all Biafrans. In Enugu state, a whole village was attacked, dozens were killed several people were injured. Yet till today, the security forces have neither arrested nor prosecute anyone for that massacre of innocent citizens. Ebonyi state farmers are constantly attacked in their farmland, our women raped and killed. In fact, no state in Biafrland is safe from the attacks of these Fulani herdsmen. The security forces turn blind eyes to these atrocities. I will not fail to mention the most recent one. On Sunday 6th August 2017, gunmen in army uniform attacked St. Philip’s Catholic Church Ozubulu in Ekwosigo local government of Anambra State where worshippers were massacred in cold blood. The state police commissioner and Obiano the killer of his people issued a statement within two hours blaming the massacre on a drug war in South Africa. One asks, when did Nigerian Police become so competent and sophisticated that they can solve such a crime in less than two hours. To shame Obiano, the next Sunday 13th August, gunmen again went to assemblies of God church Oguta road Onitsha and killed one policeman and a worshipper. We have been waiting for Obiano to tell us which war caused the Onitsha shooting, maybe drug war in South America or North Africa. Biafra restoration is the only solutions to all these Islamization project of the Buhari led administration. We must not relent in our quest for freedom. Now that our restoration project has entered into civil disobedience stage, all hands must be on deck to force the hands of government to give us a referendum. There will be no election in Biafraland until they give us a date for the referendum. All Biafrans must do everything within their power to make sure that the November 18 election in Anambra state is boycotted by Anambarians. We must all evangelize, evangelize and continue to evangelize until everybody in Anambra State understand what we are doing and why. Only when we free ourselves from these blood suckers that our lives and properties would be secured.